Between 1869 and 1967, government-funded British charities sent nearly 100,000 British children to start new lives in the settler empire. This pioneering study tells the story of the rise and fall of child emigration to Canada, Australia, New Zealand, and Southern Rhodesia. In the mid-Victorian period, the book reveals, the concept of a global British race had a profound impact on the practice of charity work, the evolution of child welfare, and the experiences of poor children. 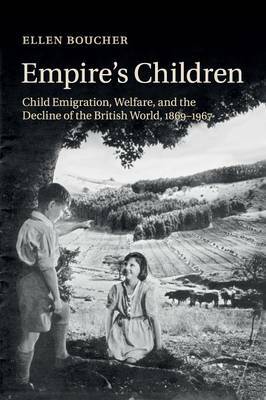 During the twentieth century, however, rising nationalism in the dominions, alongside the emergence of new, psychological theories of child welfare, eroded faith in the 'British world' and brought child emigration into question. Combining archival sources with original oral histories, Empire's Children not only explores the powerful influence of empire on child-centered social policy, it also uncovers how the lives of ordinary children and families were forever transformed by imperial forces and settler nationalism.